It is natural to feel anxious prior to an exam. 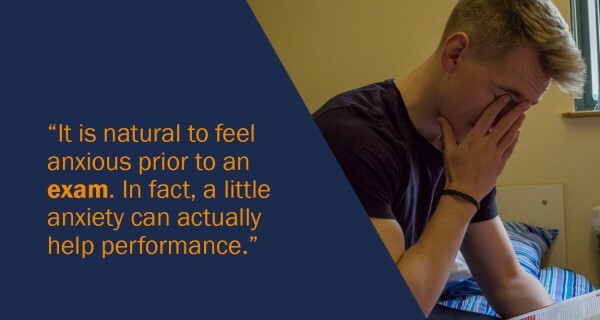 In fact, a little anxiety can actually help performance. Anxiety and stress cause the body to release adrenalin which can be helpful when responding to challenging situations. Whilst being laid back has its advantages, being so laid back that you are horizontal can mean you are less motivated to do well! However, too much adrenalin can lead you to feel distressed and hinder performance, therefore you need to be able to strike a balance between too little and too much anxiety. The purpose of this blog is to help you manage your anxiety and achieve an optimal level to promote alertness and performance. 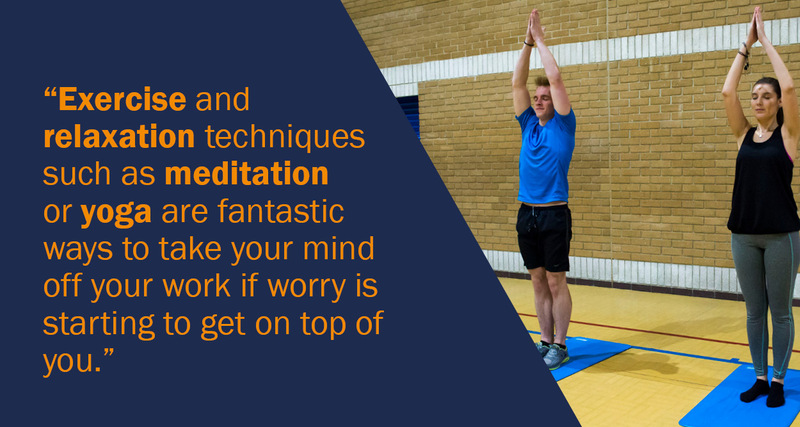 Exercise and relaxation techniques (such as meditation or yoga) are fantastic ways to take your mind off your work if worry is starting to get on top of you. Very good techniques and tricks to overcome anxiety during the exams. I also believe that it is normal for many people, even those who are confident enough in their knowledge. I will add to the aforesaid that I am personally helped by sports – it relieves negative thoughts and adds confidence in their abilities. I can say that here also excellent articles on this topic, which contain good information on various ways to overcome fears of exams.